The asphalt of London is but a gateway. Under the streets lie a chaotic warren: from the familiar rumble of the Tube, to sewers, power lines and gas lines. Somewhere within this is nestled more anomalous creations: disused Post Office transit systems, long-buried underground rivers, the 'Pindar' military citadel and the mysterious top-secret 'Q-Whitehall' complex that reportedly begins under Trafalgar Square, spans Whitehall and ends at King Charles Street. Knowing all this is going on underfoot makes London feel more magical, and that's on top of the 2,000 years of random stuff that we don't even know is there! For example, just a couple of years ago Crossrail excavations turned up a plague pit down the road from my house. 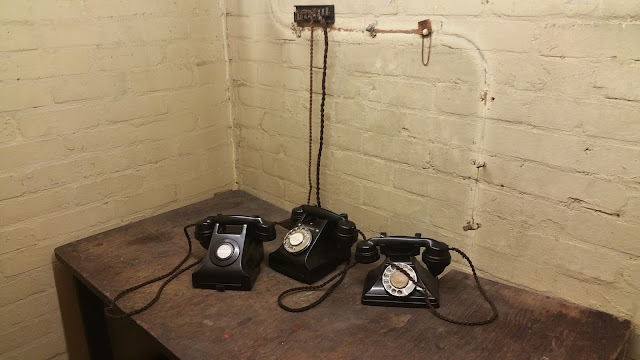 And last Sunday, courtesy of a birthday surprise from my very lovely girlfriend, I got a taste of of subterranean London history. 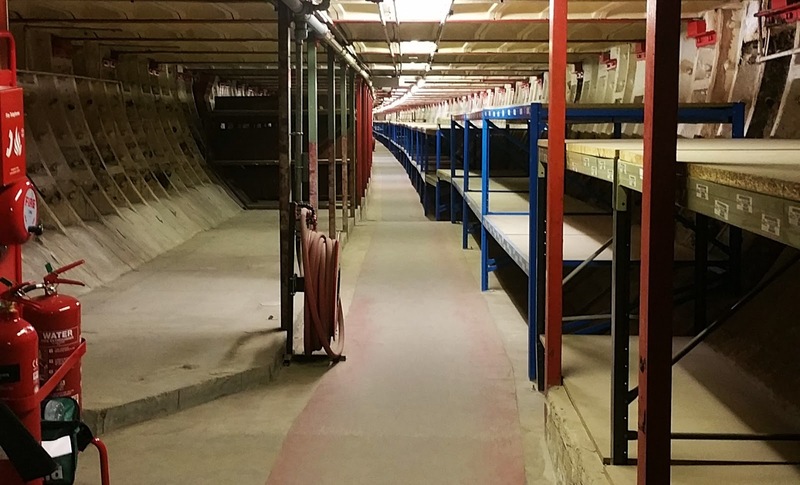 The marvellous Hidden London, run by the London Transport Museum has been hosting tours of places the public doesn't usually get to go. 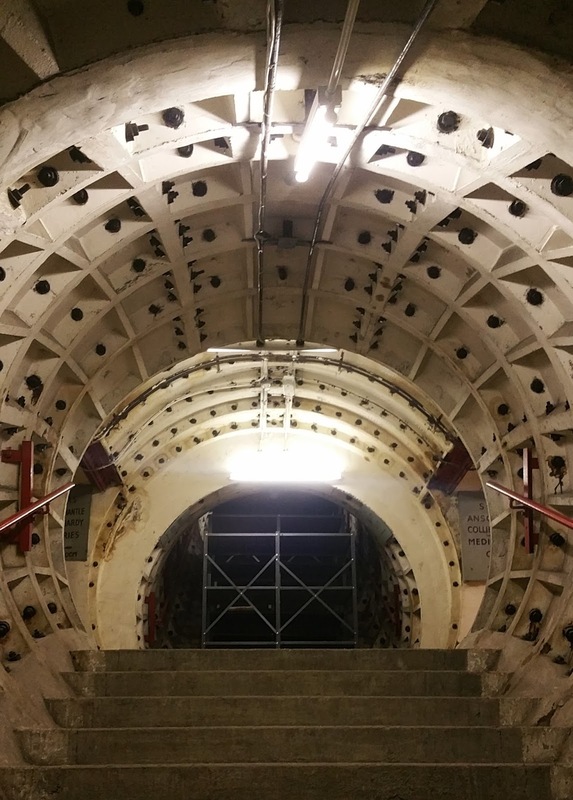 Way back in 2012 I went down into the disused Aldwych Tube Station, but now they've expanded to run tours of Down Street Tube Station, the 'lost tunnels' of Euston, London's first skyscraper at 55 Broadway and the Clapham South Deep Level Shelter. Entry is by an fat pillbox now unobtrusively subsumed into a modern apartment building. Within it lie 180 stairs, spiralling down into a wonder of 1940s engineering and a frozen slice of Blitz era London. From a contemporary vantage point it's difficult to imagine life during the worst months of the Blitz. Just how are you supposed to fall asleep when you know high-explosive bombs are raining down over the city? You might wake up with most of your neighbourhood destroyed, friends and family blown to bits. Hell, you might not wake up at all. The whole city must have been sleep-deprived and pretty goddamn miserable. Faced with that, and against the wishes of the government, many sought sanctuary in the Tube. It might not be particularly comfy bedding down on a platform, but at least you'll survive. Except you might not. 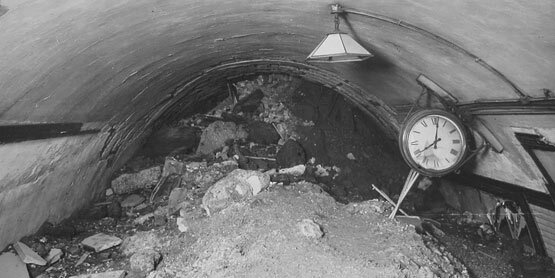 In October 1940 a 1400lb bomb slammed into Balham High Road, penetrating the street surface and exploding underground. Many of those sheltering in Balham Tube station were killed instantly by falling debris. They were the lucky ones. A broken water mains then flooded the station, meaning who survived the debris were drowned in pitch darkness "like rats in a cage". Furious protests followed, with demands for deep-level shelters be constructed immediately to prevent disasters like this happening again. The government listened, reversedits policy overnight and ordered the construction of accommodation for 100,000 people in ten shelters: five in north London, five in the south. 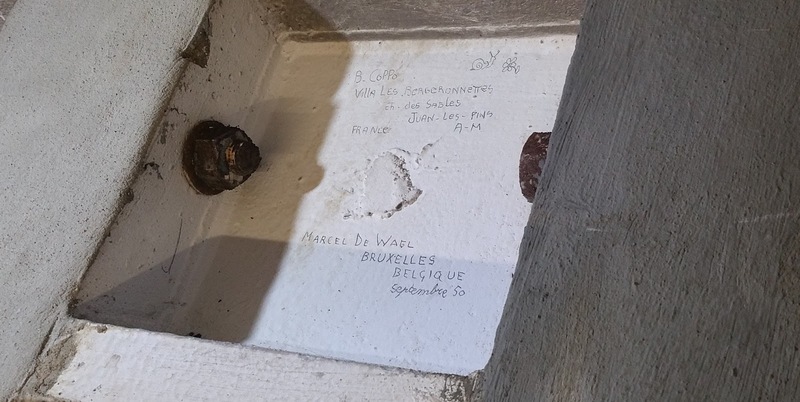 During construction two shelters were abandoned, one at St Pauls for fear of damaging the cathedral and the other at Oval due to poor ground conditions. The remaining eight opened in 1942, though weren't pressed into full service until the advent of the 'doodlebug' in 1944. Most have now been sold to private companies, used as archival storage, homes for telecoms equipment or, more recently, hydroponic gardens. Yet the Clapham South shelter, left under the auspices of TfL, remains largely intact, allowing for what feels like a trip back in time. 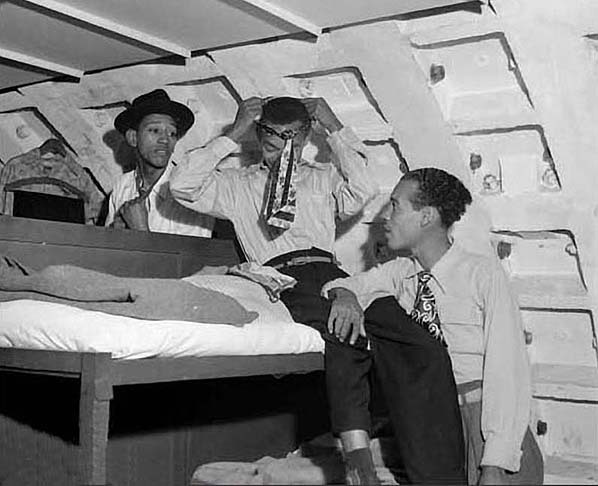 Essentially the shelter is two long underground tunnels, bisected horizontally to create an upper and lower floor.Triple-tiered bunk beds stretch off into infinity, the guests jammed in with each other like sardines, not exactly the Savoy. It must have been a hell of a weird place to fall asleep, the air filled with a fug of sweat, cigarette smoke and farts, soundtracked by the clickety-clack of passing trains and the muffled thump of bombs far aboveground. A blocked off exit to Clapham South station. Then again, if the choice is between that and getting blown to smithereens, then I'll take the tunnel. Things weren't all austerity down here, there was a canteen that was 'off-rationing', allowing for as many meat pies and jam tarts as you could afford. Similarly (and deeply emblematic of how living conditions improved in the postwar period) there were chemical toilets which might have been somewhat of a luxury for those forced to trek to an outhouse at night. A not particularly comfy looking bed. 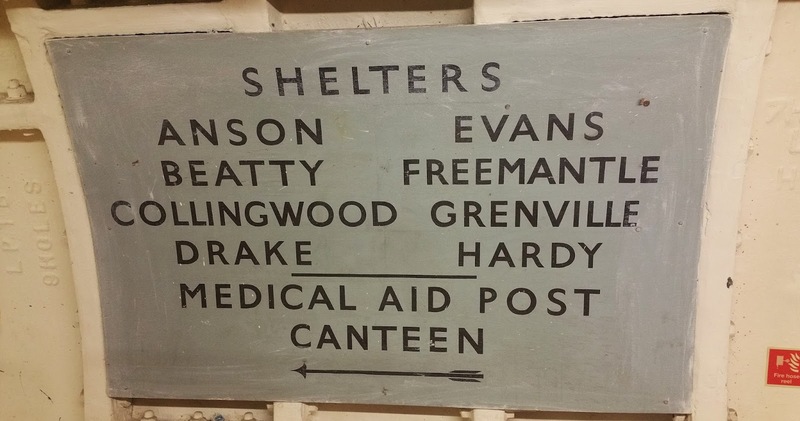 Aside from actually sheltering the community, the shelters also functioned as an effective piece of propaganda. Newsreel was shot showcasing their security and safety; a way to reassure Londoners that they have a safe haven and also to stick two fingers up at the Nazis to show that they can't be beaten no matter what hi-ex horrors they toss over the channel. But the story of the shelter doesn't conclude with Hitler blowing his brains all over a bunker wall. For about a decade afterwards it was used as temporary accommodation; postwar refugees travelling through London; visitors to the 1951's Festival of Britain; and, most fascinatingly, to house those who arrived on HMS Windrush in order to assist with the reconstruction of bombed out Britain. Eventually, after a damaging fire in the Goodge Street shelter, Clapham was mothballed in the 60s and largely remains so to this day. 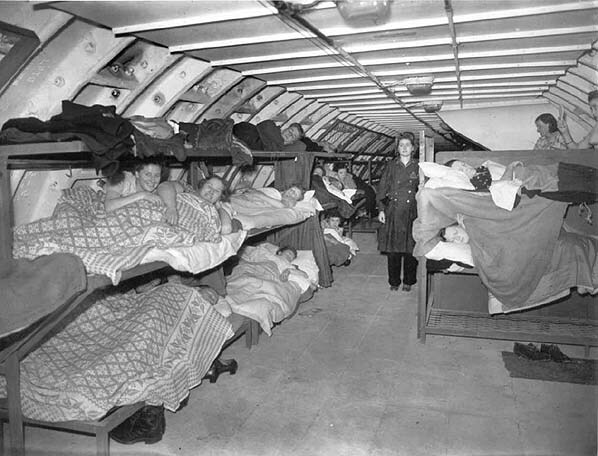 Windrush passengers spending their first few nights deep under London. It isn't hard at all to imagine past visitors' reactions to seeing this weird, wonderful and obscure corner of London. The place feels as if it's essentially the same as when war-tired Londoners trooped down to escape the Luftwaffe. I found myself wishing I could spend a night down here, tasting the creosote and plaster tang in the air, and rocked gently to sleep by the rumble of the Northern line meters away. Hidden London tour details here.